Researchers from ITMO University have built a setup for recording holograms of tiny objects like living cells with a femtosecond speed. The new method allows one to reconstruct phase topography of a studied sample according to deformations that emerge in a laser pulse when it passes through the specimen. Ovizio Imaging System, an innovative quantitative microscopy company specializing in life science solutions, announces today the launch of its new product, the iLine F, an in-line suspension cell-monitoring microscope. To improve their chances of success, in vitro fertilization (IVF) clinics need to assess the viability of the sperm they use. Now doctors may soon have a new technique to help them sort the good sperm cells from the less viable ones: a tracking system, developed by a team of researchers from four European institutions, that takes 3-D movies of living sperm. When developing new medications, biologists and pharma- cologists test different active ingredients and chemical compounds. The main purpose is to find out how biological cells react to these substances. 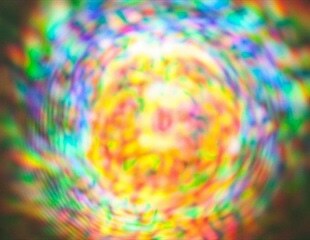 Research into digital holography (DH), the process of electronically recording and numerically reconstructing an optical field, has made tremendous strides in recent years. New progress has been made on the road to understanding the origins of genetic changes in tumour cells. The prevalent theory has been that genetic changes in tumour cells come about in multiple stages over a long time. However, a recent study by researchers at Lund University shows that this does not have to be the case at all, but that the cancer cells instead can be subject to several major chromosomal changes at the same time.